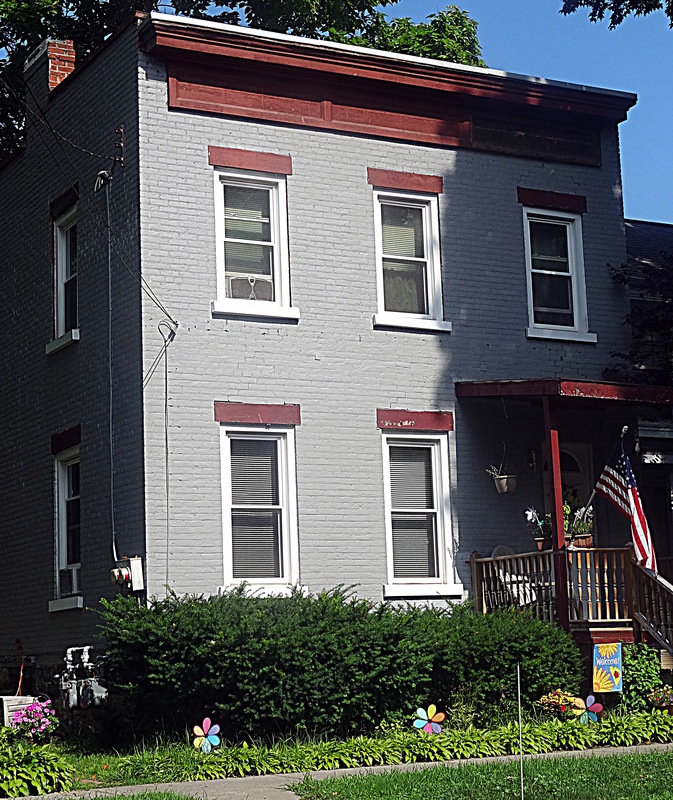 Over the years I have encountered people who were opposed to historic districts for a variety of reasons, prominently property rights and the sense that such building restrictions created homogeneous “museum neighborhoods”. I appreciate both arguments: I’m a bit of a libertarian myself and I have lived in historic districts since my 20s primarily because I like to look out the window when I get up every morning and look at historic buildings. 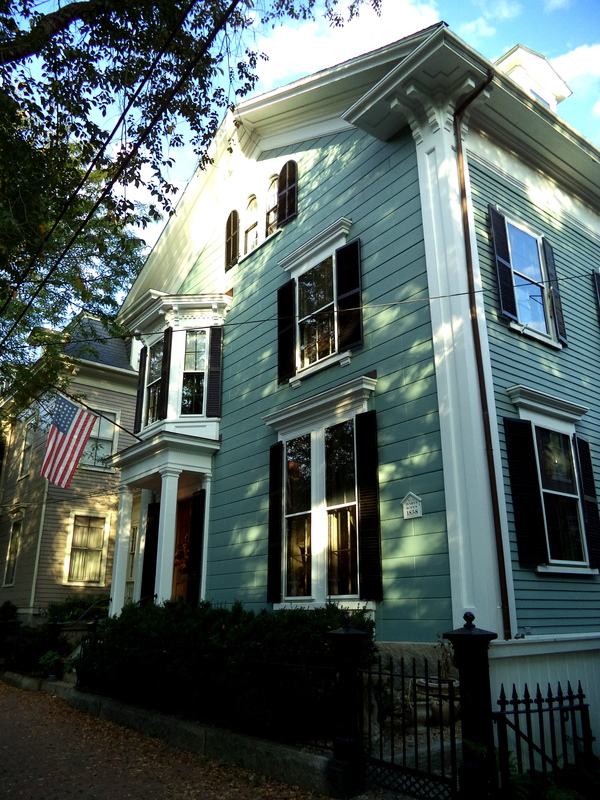 But when I walk around Salem’s historic districts, I don’t see homogeneity, I see diversity: of building materials, of size, and even of style. Though Salem is renowned for its Federal architecture, there are many buildings in the downtown historic districts that pre-date and post-date this era, and I am always struck by how many houses were built in the later nineteenth century in styles that are far from “Victorian”: these are Colonial Revival structures melding into the streetscape, for the most part. 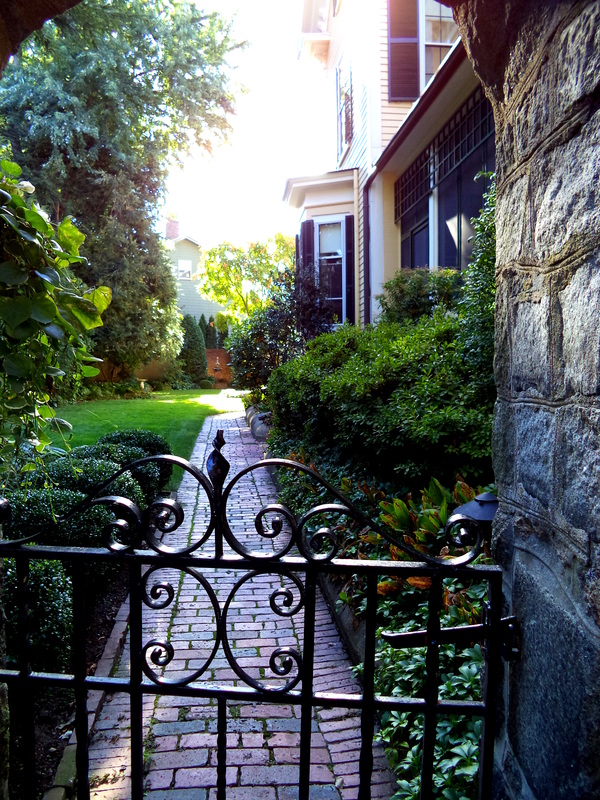 You definitely notice the differences when you view “Colonial” and “Colonial Revival” side by side–and there are many opportunities to do this in Salem. 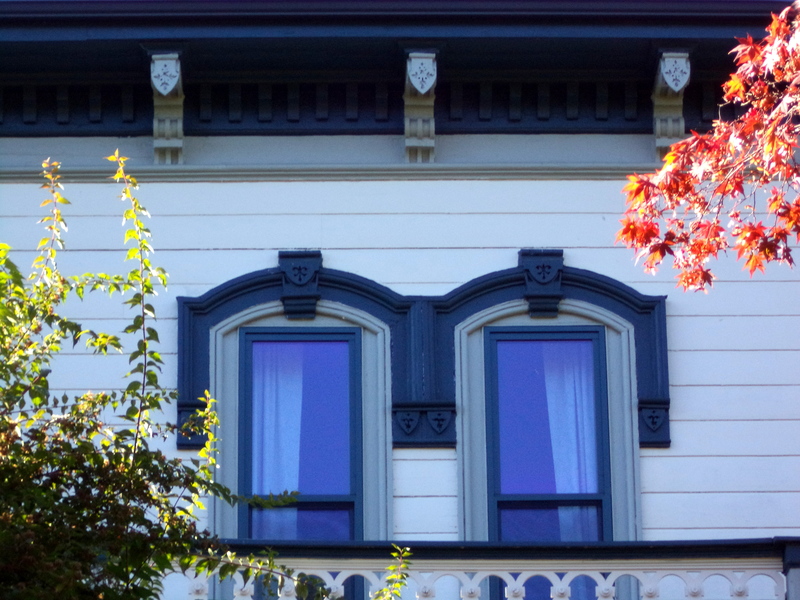 Everything is a little bigger and bolder in the later houses: windows, window panes, dormers, especially entrances. 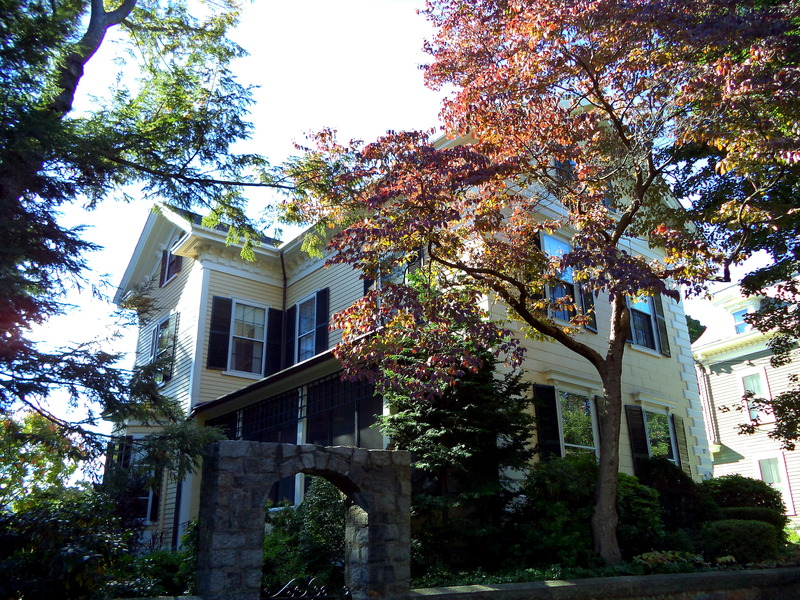 Of course, the Colonial Revival era is long (most authorities seem to date if from 1880 to 1955) and encompasses several sub-styles (Classical Revival, Georgian Revival, Dutch Colonial), but one particular feature I notice in several of Salem’s more prominent houses built in the last decade of the nineteenth century are semi-circular projecting bays on the front facade–these houses are literally bursting out of line–but still complementary to the older structures surrounding them. 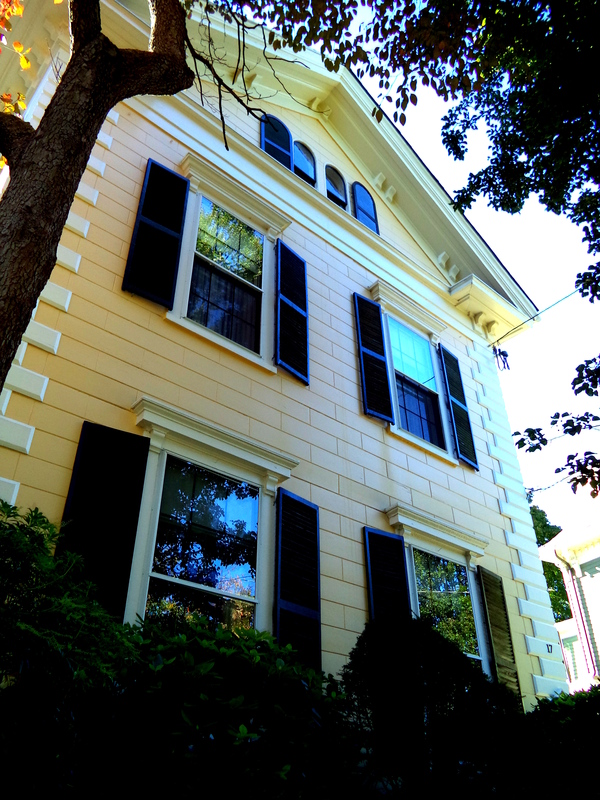 ABOVE: On upper Essex Street in Salem, the Clarence Clark House (built 1894) stands side by side the Captain Nehemiah Buffington House (built 1785) and across the street, the David P. Ives House features a very detailed Colonial Revival facade adhered to a much older (c. 1764) building. BELOW: just a little further down (or up) Essex Street, I think the Emery P. Johnson house was the inspiration for all these bow fronts! 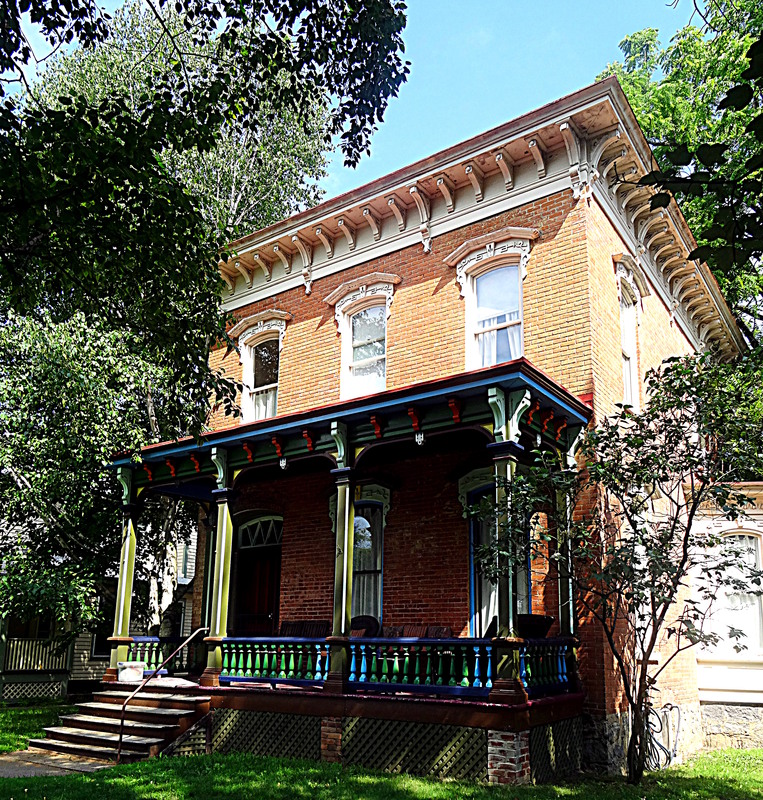 It was built slightly earlier (1853) and thus is more Italianate than Colonial Revival, and was raised up on its mound in the early 20th century. 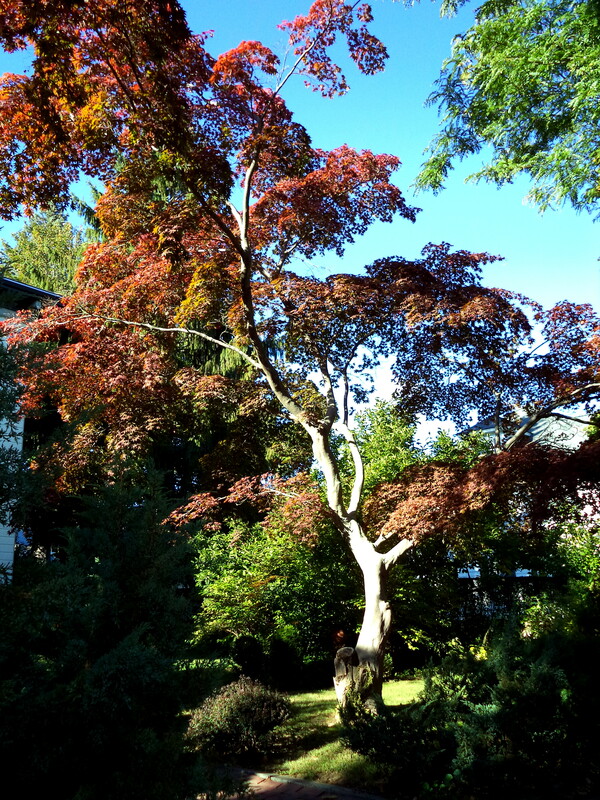 It contrasts quite a bit with its colonial neighbors, but in a good way, I think. Beckford Street below: the section of Beckford Street between Federal and Essex is a real mash-up of Colonial and Colonial Revival! I love the juxtaposition of the very old and charming Joseph Cook House (c. 1700-1733) with the very high-style Georgian Revival William Jelly House (c. 1905) right behind it–and then the George Beckford House (c. 1764) next to the Jelly House. And there was a cat in a window, too. And at the end of Chestnut Street, my favorite contrast of Colonial and Colonial Revival: William Rantoul’s Colonial Revival adaptation of the Georgian Richard Derby House on Derby Street and the Kimball-Fogg House on Flint. There is obviously continuity in the physical landscape as you leave New England (in either Vermont, Massachusetts or Connecticut) and enter New York but almost immediate contrast in the built environment. 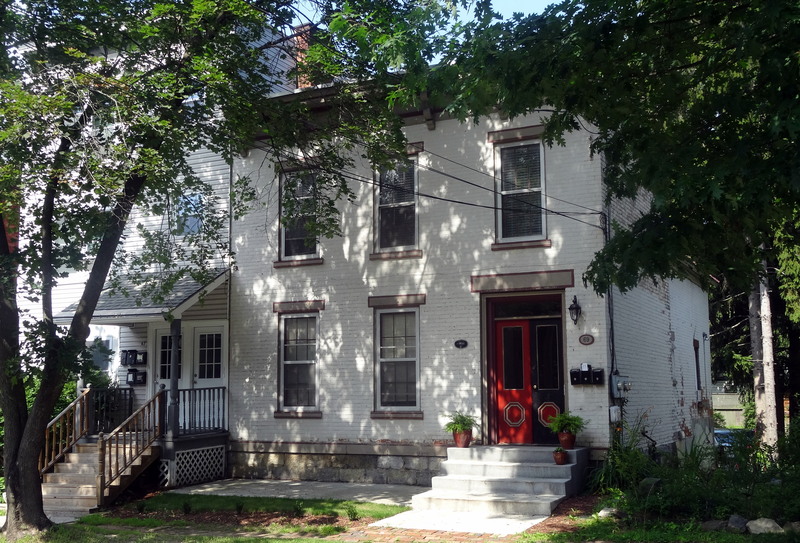 The older houses look different, and this difference becomes more pronounced as soon as you get into some towns. 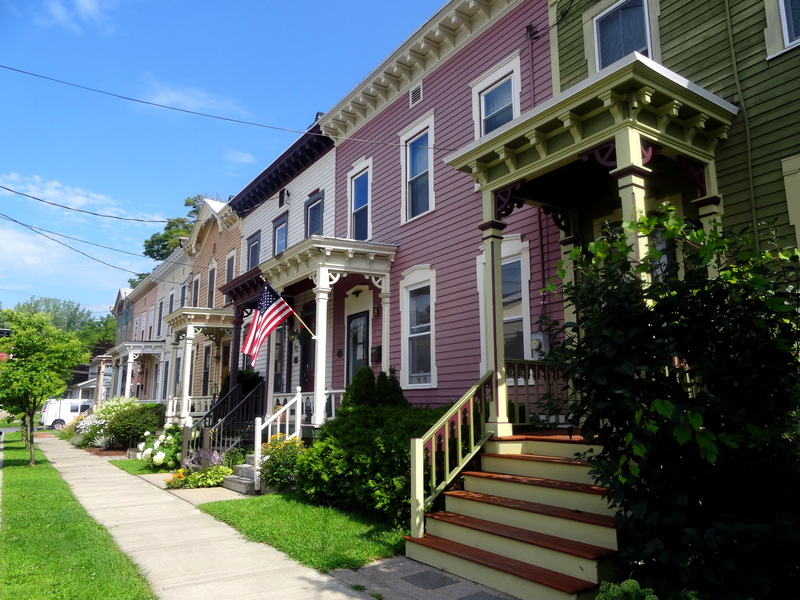 There are some universal styles (Greek Revival, High Victorian, all those post 1945 “capes”), but the New England colonial and federal styles do not seem to have penetrated New York, where you see far more center gables, little second-floor windows, board and batten, and most especially flat roofs. New York State really embraced the Italianate in the mid-nineteenth century, in a variety of forms: from the whimsical gothic and picturesque to the more straightforward and streamlined flat-roofed buildings–built of both brick and wood–that have always represented “New York” to me, because you just don’t see them in New England. Inspired by the rural villas of Renaissance Italy, these houses represent a more democratic diffusion of a style that seems to have spread everywhere in the eighteenth and nineteenth centuries. 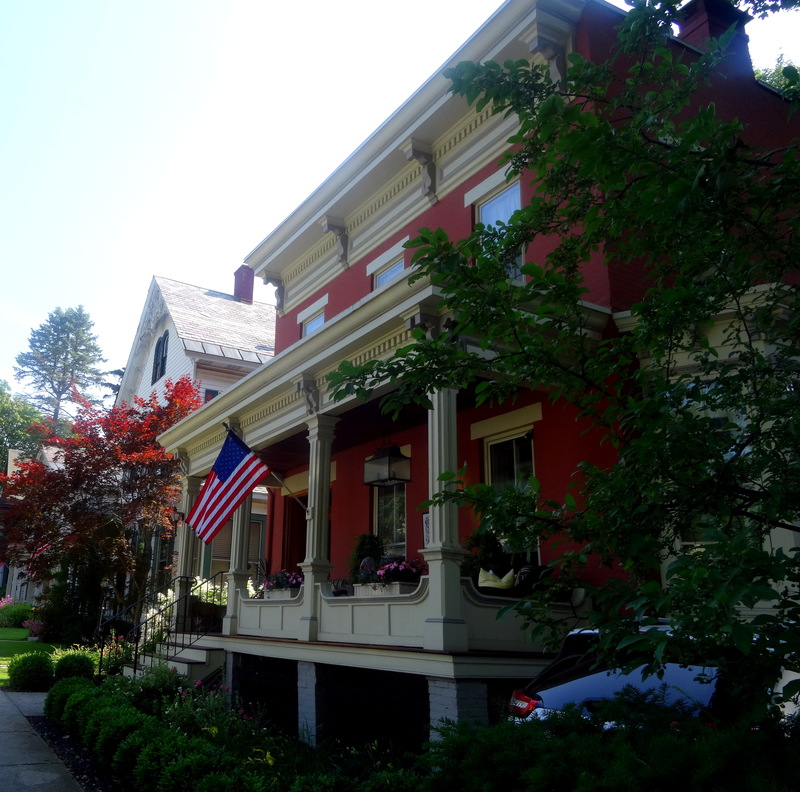 This past weekend in Saratoga, when I was walking up Broadway (renown for its High Victorian mansions but obviously experiencing some McMansionization) it was these houses that captured my attention, and then I ran around the city looking for more. 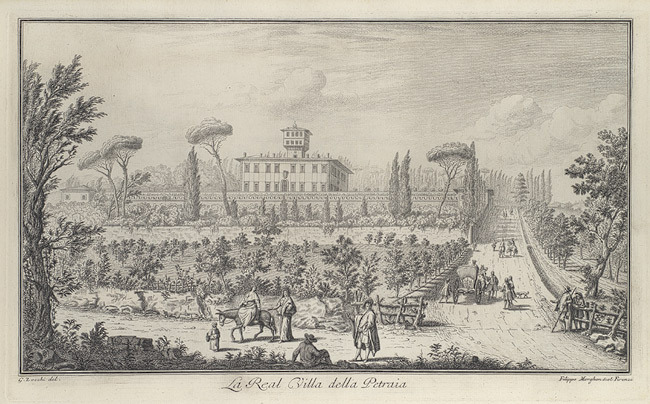 The Inspiration: View of the Villa La Petraia: From Vedute delle ville, e d’altri luoghi della Toscana (plate 33), 1744, Filippo Morghen (Italian, 1730–after 1807), after a drawing by Giuseppe Zocchi (Italian, 1711/17–1767), Metropolitan Museum of Art, and flat-roofed houses in Saratoga Springs. 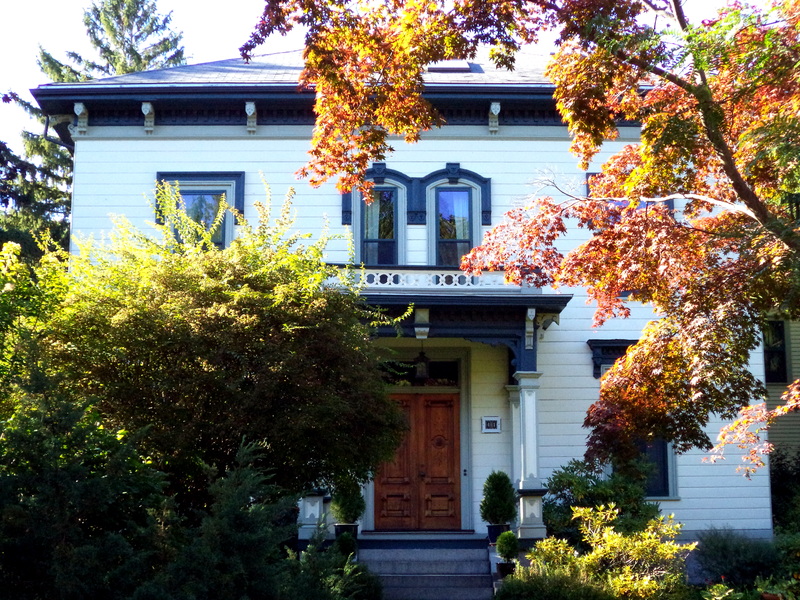 Here’s another entry in my intermittent, impressionistic, and amateurish survey of architectural styles in Salem: Italianate, yet another Victorian revival style. 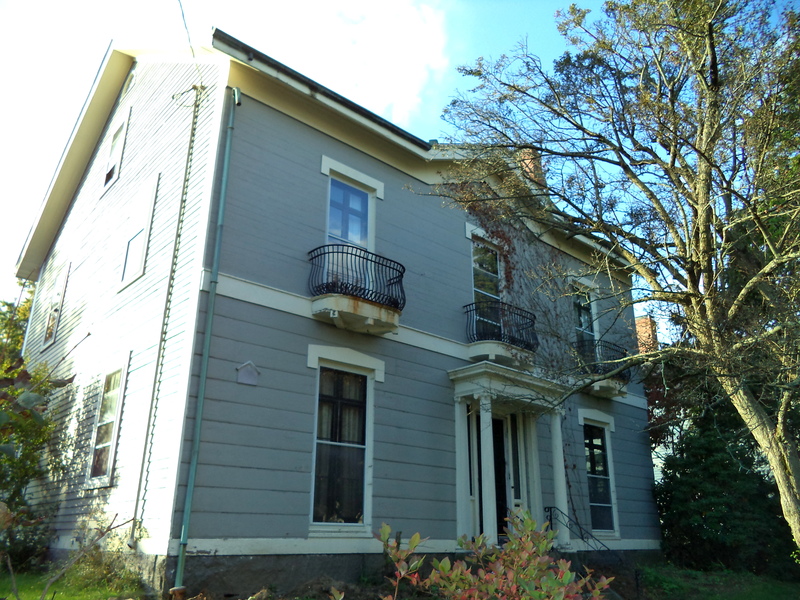 As Salem is a city that is more Federal (classical) than Victorian, I think the Italianate influences are limited and a bit restrained, but they are still there. 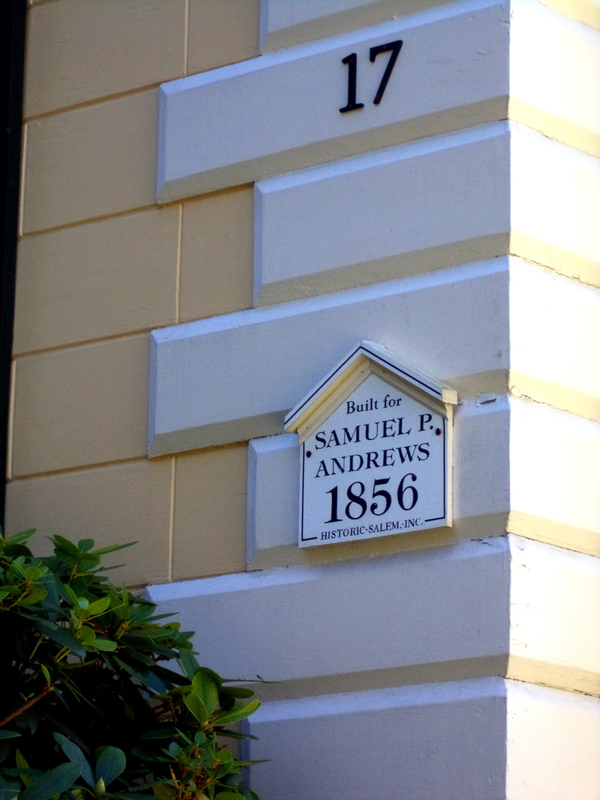 There is a beautiful early Italianate house right next door to us on Chestnut Street, and it happens that one of my favorite houses in Salem (actually it’s everybody’s favorite house) is both Italianate and for sale: the Samuel P. Andrews house on Flint Street. A beautiful house in a beautiful setting, as you can see. 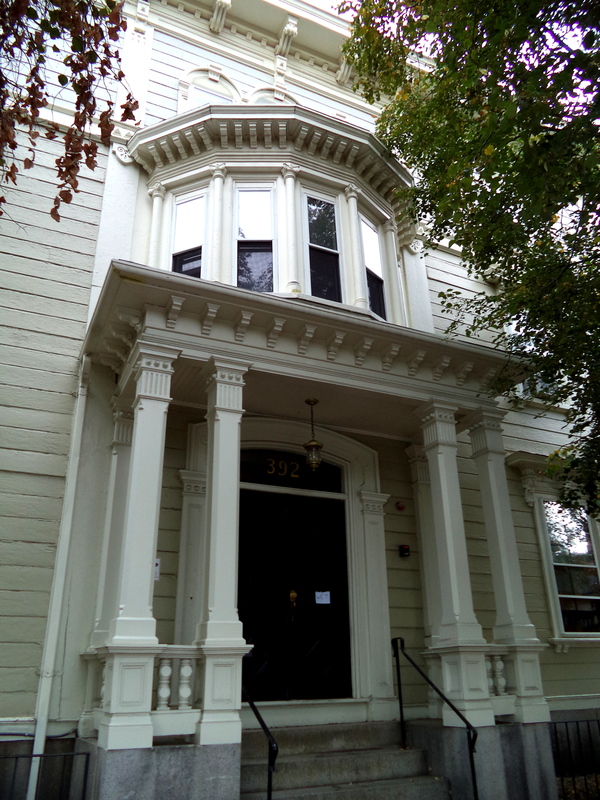 This house shares one distinct Italianate feature with the Maria Ropes house, right around the corner on Chestnut Street: third-floor “Siamese-twin” windows with semi-circular headings. 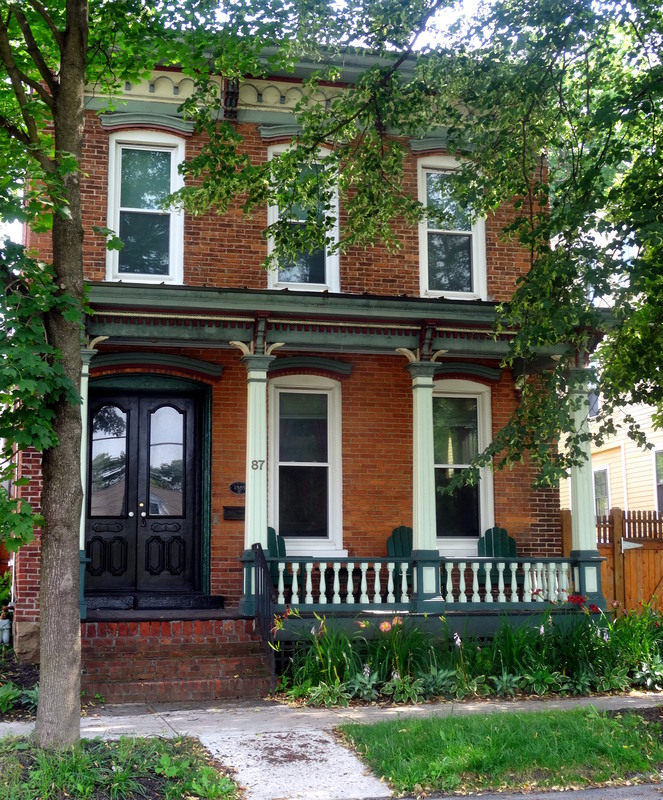 Both houses were built in the 1850s, which seems to be the decade for Italianate construction in America. Bryant Tolles refers to the Ropes house as “Italian Revival” in his definitive guide to Salem architecture (Architecture in Salem. An Illustrated Guide): I’m not precisely sure what the distinction is between this and “Italianate”, and then there is also Renaissance Revival to consider! Tolles’ Guide is widely-available; unfortunately another essential, more practical, guide to Salem architecture is not: The Salem Handbook: a Renovation Guide for Homeowners, which was published by Historic Salem, Inc. in 1977–though you can find detail drawings of the major architectural styles in Salem here. 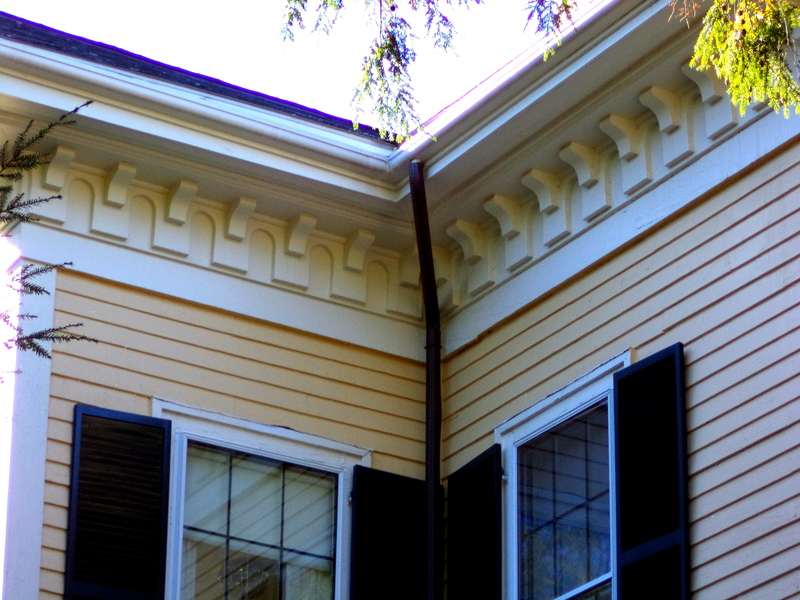 With my untrained eye, I cannot find a house with all of the decorative elements featured in the Salem Handbook’s “Italianate” illustration: no cupolas and very few arches appear on Salem houses of this era. Tolles identifies the William Ives House on Essex Street (built in 1850-51) as “one of the best examples of the Italian Revival style surviving locally” and this immense house (difficult to photograph as it has two huge trees in front of it–just the entrance is below) certainly casts an Italianesque image for me. 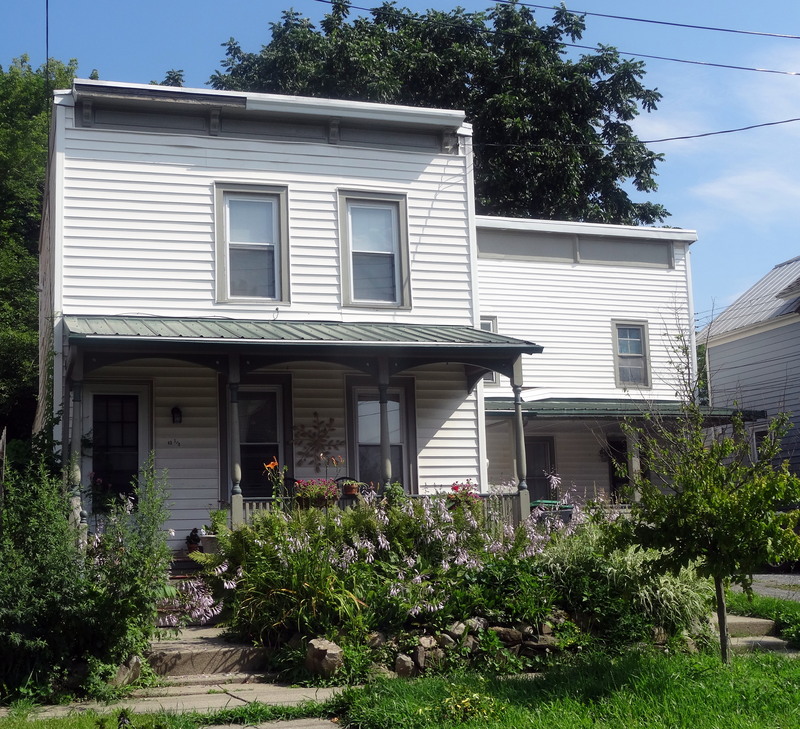 But so too do several other houses which are more difficult to stereotype: For Tolles, the gabled and balconied (if that is a word) Richardson House on Broad Street “defies normal stylistic classification”, but I see Italian influences. 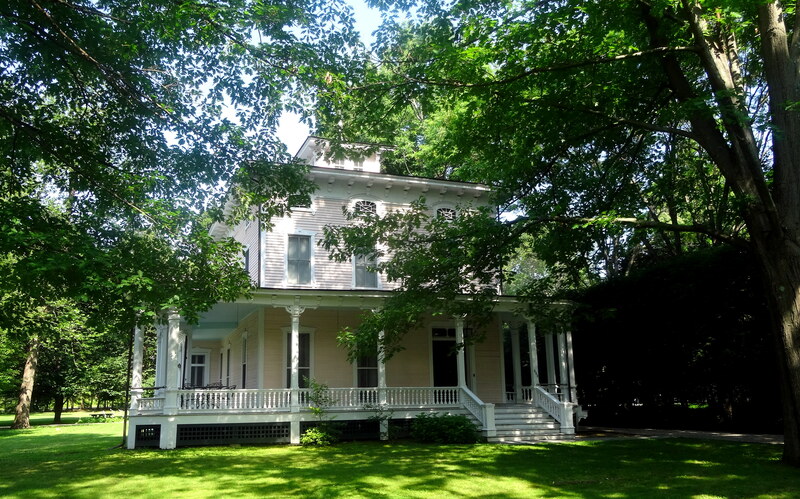 And then there is this last house in North Salem, of which I have become quite enamored. 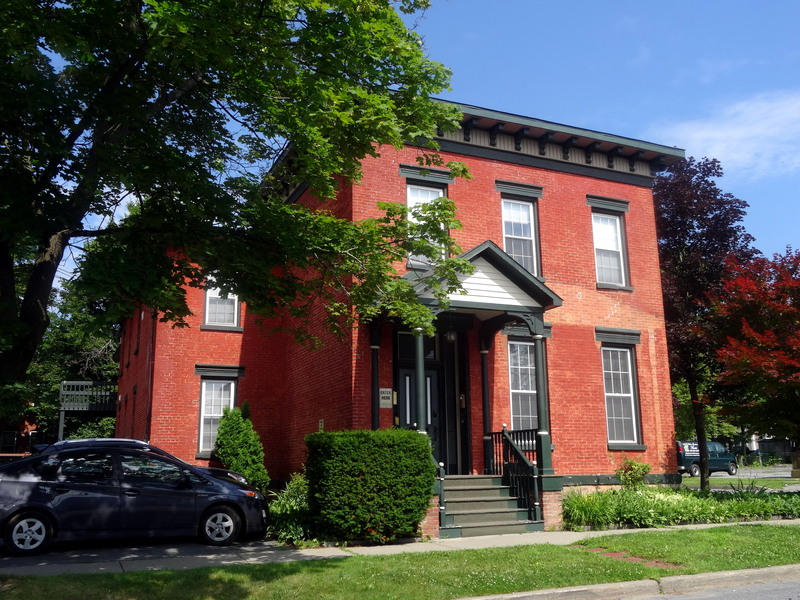 The James Dugan house on Dearborn Street was built a little later (1872) than the rest of Salem’s Italianate houses, but its dramatic facade and slim, hooded windows really conjure of the Renaissance for me. 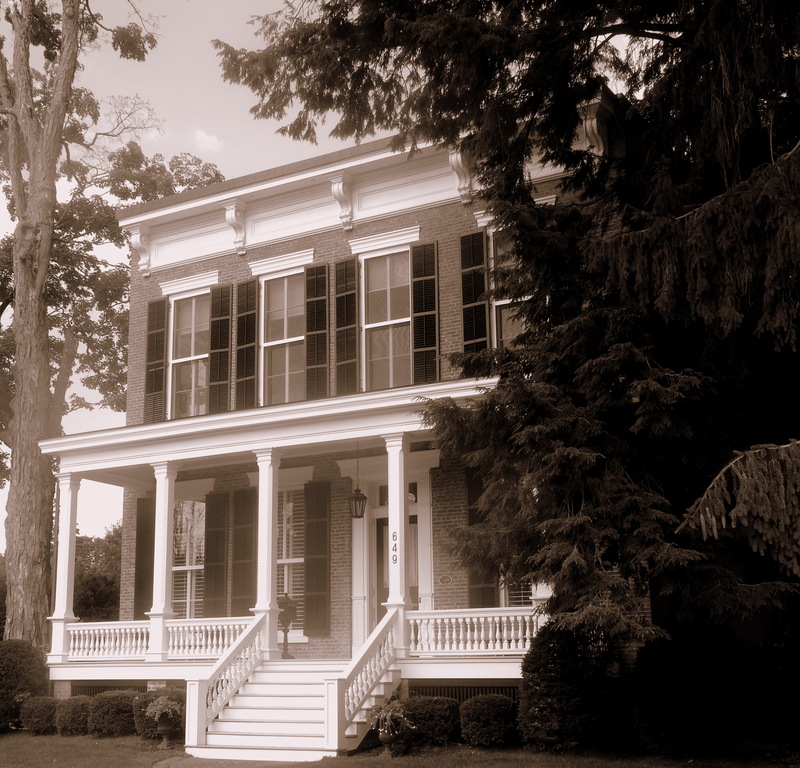 It was built by a prosperous leather manufacturer (who unfortunately killed himself in 1893 after experiencing some “reverses” and purchasing multiple life insurance policies valued at $410,000) in the midst of a once-vast estate; its lot is much smaller today but still beautifully-designed, like the house.